This is a sponsored post. Please refer to our disclosure for more info. This post may contain affiliate links. Please view our disclosure statement. 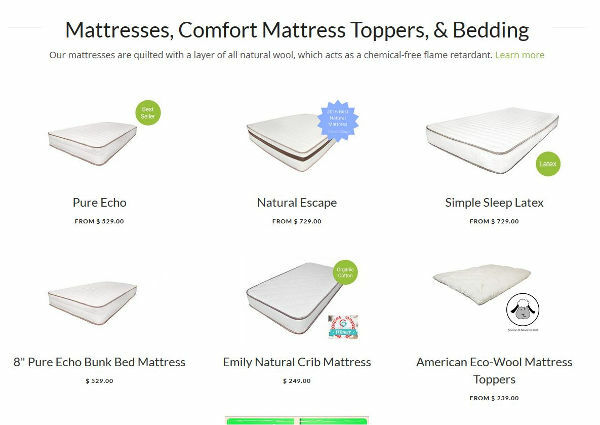 Try the My Green Mattress for a safe, natural mattress. My 5-year old son has had a couple of different used mattresses in his life – first was his sister’s old crib mattress for a crib and toddler bed, then he got upgraded to a queen-sized mattress but it was the mattress we’ve owned for the past 8 1/2 years so it was overdue to get a new mattress. As he has been getting used mattresses in his short life, we needed a good, safe option for him to make sure he is getting the rest he needs and something that will be good for his body. Luckily we found out about My Green Mattress. The thing that impresses me with My Green Mattress is that it satisfies parents like me who are worried about all of the toxins that companies put into their products. My Green Mattress provides a natural mattress. They use an all-natural wool and all mattresses are tested and safe for the most sensitive individual. When you order a My Green Mattress, you have a few options. We are using the Pure Echo for my son. It was shipped free by FedEx and arrived on my doorstep in a roll packed in heavy duty plastic wrap and cardboard. We carried it up to the room where we were going to place it (we needed 2 people). Tearing at the seam, we were able to undo the plastic and unroll the mattress! No scissors or razors required. It unrolled easily and we were able to place it correctly onto the bed frame. The My Green Mattress we have does not have a smell. It has about a 7 out of 10 as far as firmness goes (10 being most firm) and my son has slept very well on it. I even enjoy sneaking into his room and resting on his new mattress. It feels great on my back. I really enjoy the comfort of knowing that the mattress is natural without any chemical flame retardants as they use quilting natural wool.